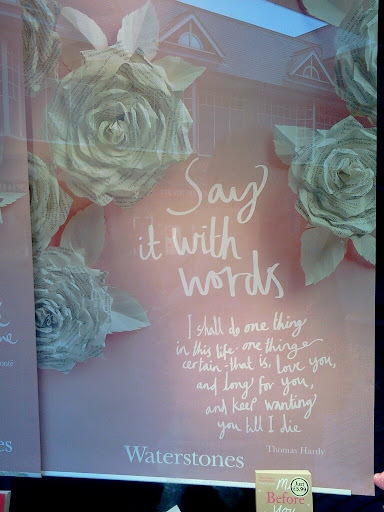 LOVE THY DESIGNER: Waterstones Valentines Window! I know it is a couple of days late and I wanted to try and get a better photo of the window but I knew I had to snap a picture of the Waterstones poster. I have a slight dislike of the fake tacky colour red that gets plastered everywhere during the Valentines period and so the shade of pink contrasting against the white paper flowers is easier on the eye and it's good to see a piece of design promoting the day that has actually had some thought put into it. Why cant others follow suit and put some value back into Valentines day?